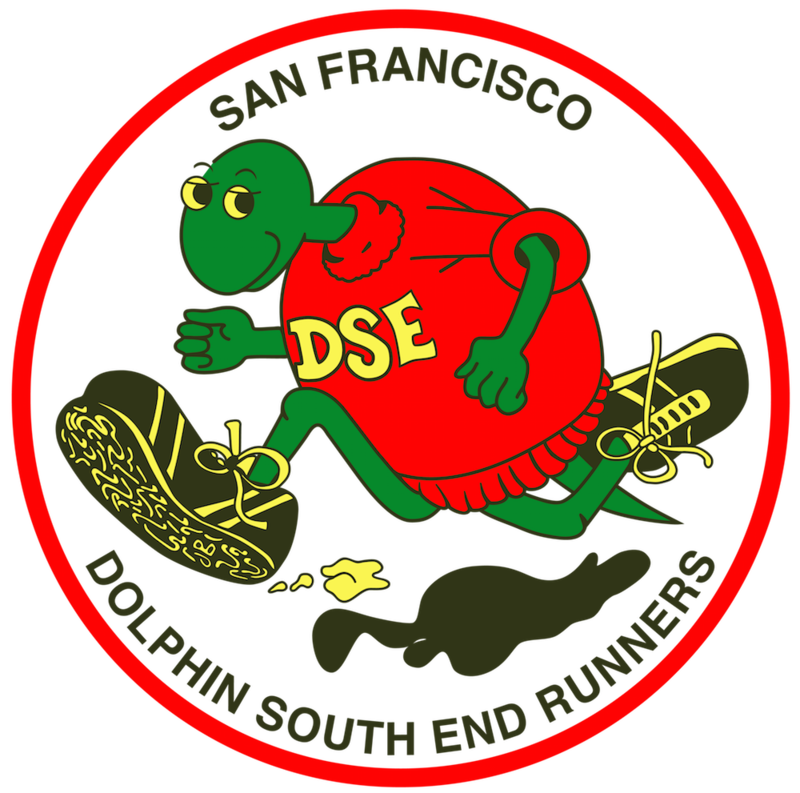 The voting for DSE Officers has been extended until the last race of the year, the Golden Gate Bridge Vista 10K on December 28. Candidate statements begin on page 3 of the December Newsletter. Results of the voting will be announced in the January 2015 DSE News and the DSE Runners website. Thank you for your vote. To minimize confusion, we’re creating a system that will award members volunteer points (instead of using hours) based on the volunteer role performed. Award volunteer requirements will also be updated accordingly. Below is the proposed point system and updated award requirements that will take effect starting on January 1, 2015 (for awards presented at 2016 Gala). If you have feedback or suggestions before we finalized this next month, please contact Kitzzy Aviles (dse@kitzzy.com). To qualify for any award at the annual Gala, you must be an active member and meet the criteria for that award. Active members who wish to be considered for a Mongo award, Top 5 Race Miles or Top 5 Total Miles must submit the awards form at the end of the year. Again, these are proposed changes that will take effect January 1st for the 2016 Gala and will not affect the 2015 Gala. Attendance: 16 members were in attendance, including all officers and two members at large. Treasurer’s Report: Due to some unexpected expenses, we may end up with a small loss this year but are still in good shape with a healthy bank balance. Membership Report: We’ve had a 16% increase in membership so far this year. However, 5% of these members still need to renew their membership. Remember that you must be an active member to be eligible for an award at the Gala. President’s Mission Statement: Below is an update on George’s personal goals for DSE this year. Attend as many DSE races as possible — so far he’s missed only one. Increase or maintain membership — membership has increased by 16%. Have all board members serve as race directors — all but one has been a race director at least one race. Have at least one board member in every committee — this has been accomplished. The minutes from all board meetings have been published in the newsletter. Budget Policy: An itemized written budget proposal should be submitted to the board for approval at least 90 days before an event. Volunteer Points System: To minimize confusion, we’re creating a system that will award members volunteer points (instead of using hours) based on the volunteer role performed. Award volunteer requirements will also be updated accordingly. Full details and how many points you can earn per volunteer opportunity will be published on the website and in the next newsletter. Double Dipsea Update: George had a brief meeting with Sam two days ago, which confirmed that Brazen is very interesting in partnering with DSE to manage this race in 2015 and has begun pursuing permits. A meeting with key players from both sides will take place soon to negotiate details. The biggest concern from Brazen is that DSE did not provide the number of volunteers it committed to for the 2014 race. Folding Session: We had trouble finding folding session hosts and attendees over the past years, so alternate solutions were discussed. After gathering more details, it was determined that folding sessions are still the most efficient and cost-effective method and we’ll continue these every month. To help increase attendance, we’ll post dates in advance on the website calendar and reminders a few days before each session in the Facebook and Yahoo groups. EMS Update: The final draft of the EMS Procedures is now posted in the Policies and Procedures page under the About Us section of the website. George is reaching out to Sports Basement to host a CPR class and a date will be announced soon. The class will be free and will have up to 10 spots, which will be filled on a first come, first served basis. Club member Brian will then facilitate a first aid class. Our RRCA State Representative, George Rehmet, advised that we update the race waiver to make it clear that there are no medical personnel present at our races. The 2015 Gala will be held on Sunday, January 25 starting at 4:30 PM. Remember that you must be an active member (dues paid) and have accumulated the correct number of volunteer hours to receive an award at the Gala. Active members who wish to be considered for a Mongo, Top 5 Race Miles or Top 5 Total Miles awards must submit the awards form by January 4. A link to an electronic form will be posted on the website and a hard copy included in the next newsletter. Concerns were again raised about allowing runners with headphones, dogs or strollers at our races. We maintain our position that these are highly discouraged and runners who choose to run with these do so at their own risk. However, the RD of each race has final say and full authority to ban their use and disqualify runners deemed unsafe. To help runners make more informed decisions on when to bring along strollers or dogs, we’ll be reviewing and updating course descriptions to include more information about terrain and elevation. PRESIDENT: To preside over meetings, to represent this association in the RRCA, to call any special meetings and appoint committees and chairpersons thereof, and to report club news to the membership by writing a monthly column for the club newsletter. SECRETARY: To record minutes of meetings, to keep a file of such minutes and, when requested by the president, to accept assignments involving correspondence and the keeping of records. TREASURER: To administer all financial duties and to have the authority to sign or disburse necessary appropriations as directed and filing applicable tax returns. The nomination process will be open through the end of October. Nominees will then submit a short introduction article for inclusion in the December DSE News. Voting will take place by secret ballot in December and the results announced in the January newsletter. Only the new officer’s names will be announced. Vote tal- lies will remain confidential. for writing the July President’s Desk and providing an excellent report on the 2014 Double-Dipsea. The dates and locations for these meetings are set. The Board Meeting, August 24, will be after the Golden Gate Park Cross Country 5K. The General Meeting, September 28, will be at the Lindley Meadow Cross Country 4M site. We are still finalizing the agendas for both meetings. We will be provide a summary of the meetings in the September and October newsletters. Two important committees will be starting soon, the Race Committee and the Gala Committee. We need a race director for the Marina Green 5K. We are also in need of directors from September to December. Check the DSE website for open race director positions. Being a race director provides you with 12 age- division points and volunteer points toward a Gala trophy. All you have to do is print your name on the Race Director board at one of the Sunday runs or contact Kevin Lee or Jim Kauffold to sign up as a Race Director. The summer Thursday evening race series at Lake Merced continues through August 21. It starts at the Sunset Blvd parking lot at 6:30 PM. Entry fee is only one dollar, and the course is open until 7:30 PM. We don’t thank people enough for the things that they do. So I hereby take my self-appointed Presidential power, and present Jane Colman the DSE thank you for July 2014. Thank you Jane for keeping the newsletter and the folding sessions going.